Beacon Offshore Energy, wholly owned by funds managed by Blackstone Energy Partners, an affiliate of Blackstone, announced that Scott Gutterman has joined Beacon as its Chairman and Chief Executive Officer. 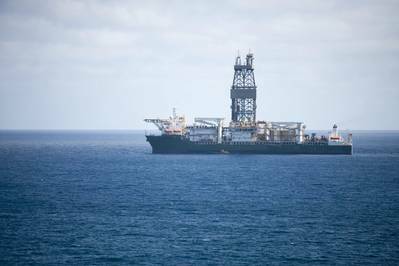 In addition, industry veterans Paul Dailly and John Hollowell have agreed to join Beacon’s Board of Managers, said the exploration and production company focused on exploring, developing, acquiring and operating upstream oil and gas properties in the deepwater Gulf of Mexico. Scott Gutterman brings 40 years of exploration and production experience primarily focused in the GOM. Prior to joining Beacon, Scott served as President and Chief Executive Officer of LLOG Exploration Company, guiding its deepwater exploration and production portfolio through multiple phases of transformational growth. During his 25 years with LLOG, the company safely and efficiently drilled over 350 wells in the GOM, including over 90 wells in deepwater, with an exploration success rate of almost 70% and built a strong track record as an operating and development partner. Scott will lead and augment Beacon’s management team to help enable and position the company to be a leading deepwater operator and a partner of choice, and to grow its existing portfolio of exploration, appraisal, development and producing assets.